Bhutan has a diverse landscape, from subtropical lowlands to sub-alpine Himalayas. Bhutan has one of the most biodiverse ecosystems in the world and 72% of the country is covered by the forests. The climate of Bhutan is extremely varied. The state religion of Bhutan is Vajrayana Buddhism, followed by the almost all Bhutanese. Thirteen types of traditional arts and crafts are famous in this country. 19 dialects are spoken all over the country. 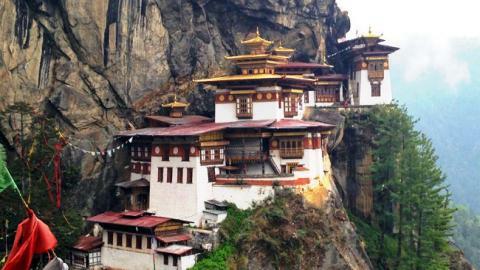 Bhutan is the perfect place for a rare and rich cultural experience. The controlled tourism policy of the Bhutanese government continues to preserve its beautiful landscape.